Generation Iron 2 is jam packed with special features and is the definitive version of the bodybuilding sequel. Featuring iconic bodybuilders such as – Kai Greene, Calum Von Moger, Rich Piana, Big Ramy, Hidetada Yamagishi, Iris Kyle, Ahmad Ashkanani, Lee Haney, Shawn Ray, Dana Lynn Bailey, Jay Cutler, Flex Wheeler, Steve Cook, Martyn Ford and more! Generation Iron 2 – Extended Edition – IS THERE A LIMIT? Now going deeper with brand new interviews, 20 extra minutes of footage, and completely unrated. 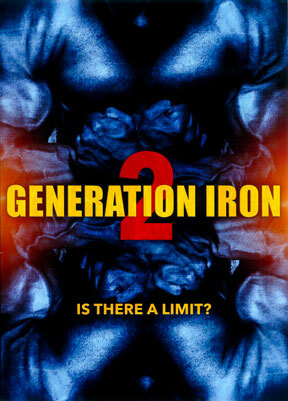 Generation Iron 2 is a documentary film and sequel to Generation Iron. The film follows the next generation of bodybuilders as the industry opens up to viral internet stars as well as younger bodybuilders pushing the limits of how massive the human physique can become. Relive the film that took a deep dive into the current state of bodybuilding and how athletes further strive for the ultimate physique. The Generation Iron 2 Extended Edition is jam packed with new special features and is the definitive version of the bodybuilding sequel. Featuring iconic bodybuilders such as – Kai Greene, Calum Von Moger, Rich Piana, Big Ramy, Hidetada Yamagishi, Iris Kyle, Ahmad Ashkanani, Lee Haney, Shawn Ray, Dana Lynn Bailey, Jay Cutler, Flex Wheeler, Steve Cook, Martyn Ford and more!